Remain awake at night when you want to sleep? Need an alarm to wake up in the morning? Struggle to find the energy for sports or other activities? Notice dark circles under your eyes? If you said “yes” to any of these, you may benefit from this study! This study is testing whether sleep coaching sessions can help young people who have difficulty getting to sleep at night, difficulty waking up or getting out of bed in the in the morning, and feel sleepy during the day. Specifically, you need to be going to sleep late at least 3 weeknights per week. Many teens have problems getting to sleep. This can have negative effects on your life. Being tired or sleepy can lower your grades or impact your performance in sports or other activities. It can also affect relation-ships with friends and family. 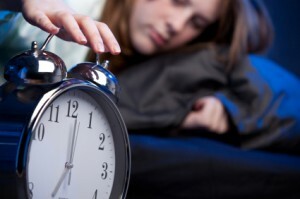 Poor sleep can even cause problems with your health, appearance, mood, or behavior. You will need permission from your parent to join the study. You do not have to be in the study if you don’t want to. There is no cost to you or your parent to be in the study.